Amazon has Echo Input – Bring Alexa to your own speaker for $19.99 (Reg $35) with free shipping. 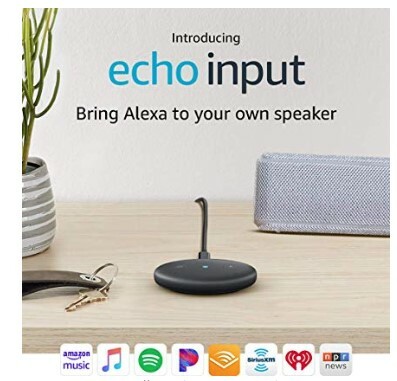 Echo Input adds Alexa to an external speaker and connects via 3.5 mm audio cable or Bluetooth. You can hear you from across the room—even when music is playing.